This wonderful bead customizes your requirement in sterling silver. This SSbead is made up of .925 sterling silver. The design of this ornament is fashionable, bright, and sparkling. The dimension of this round, hollow, and easily designed SSbead is 11mm x 9mm which makes it easily seen. The unique design and features makes it a prized possession and owner's pride. This ornament is very stylish and will surely be your proud possession for years to come. 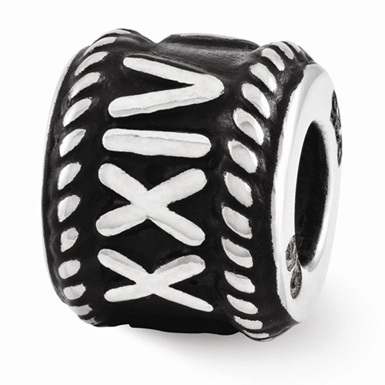 We guarantee our Personalized Roman Numeral Bead in Sterling Silver to be high quality, authentic bead jewelry, as described above.